We formed The Outdoor Kind, LLC, in order to do good works but if we didn’t have the help of Tanya Riemann, we wouldn’t be able to reach as many people nor do anywhere near as much as we’d like to do. Tanya has selflessly volunteered her time for The Outdoor Kind since day one. That’s great for us because the McMaster University graduate is owner of Platypi Designs Inc., a successful business and website design company based in Edmonton, Alberta. In 2013, Tanya moved Platypi Designs to Edmonton, and her business has continued to thrive. These days, Platypi focuses on assisting lawyers with their web presence and Tanya’s company now works with law firms in both Canada and Australia. 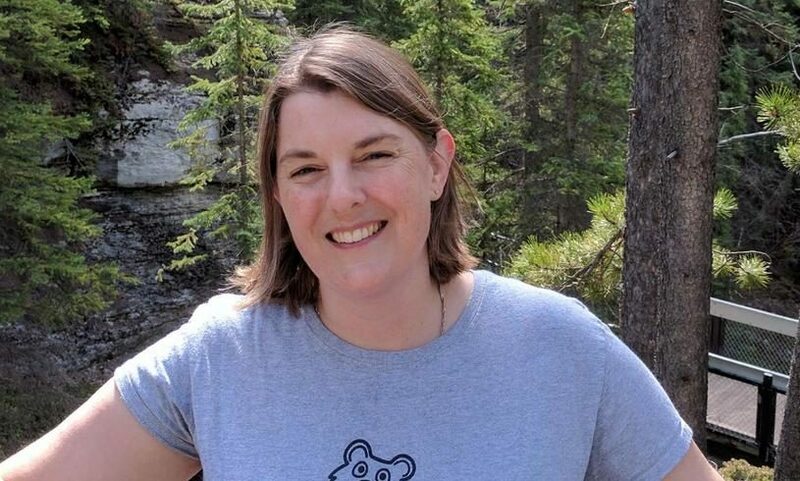 Tanya continues to enjoy camping and hiking, and she’s taken advantage of her move to Edmonton to periodically visit Banff and Jasper National Parks with spouse Mark and their pocket beagle Tuna. She also runs, likes to cycle, and has been known to participate in the Tour de l’Alberta. Tanya is also active in numerous civic organizations. Jan Van BarrigerClare Gibbs, M.D.